Webster University used a six-run second inning here Friday morning en route to posting a 12-5 victory over 24th-ranked Wheaton (Mass.) 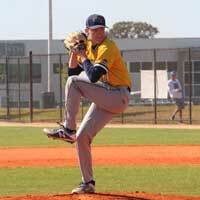 College in its sixth game of the RussMatt Central Florida Invitational at Lake Myrtle Park. With the victory, Webster extends its win streak to eight straight games and improves its record to 9-2 overall, while Wheaton falls to 4-6 on the year. For the third consecutive year, Webster University and the St. Louis Intercollegiate Athletic Conference has been approved to host the 2018 Central Regional of the NCAA Division III Baseball Championships. This year's Central Regional Tournament will be held at GCS Ballpark in Sauget, Illinois, on May 17-21, with the winner advancing to the NCAA Division III National Championships in Appleton, Wisconsin. 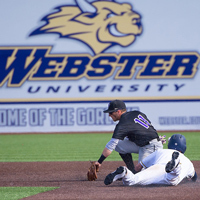 GCS Ballpark is the home facility for the Webster University Gorloks baseball program. Webster University junior business administration major Josh Fleming is in rarified air. 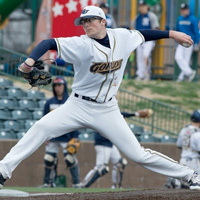 The left-handed conference pitcher of the year had his name called in the fifth round of the Major League Baseball draft, when he was selected by the Tampa Bay Rays on June 13. The 139th pick overall, he was just the second SLIAC player ever selected in baseball's annual draft. 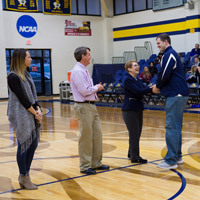 Webster University students Josh Fleming and Kyle Uhrich have received national recognition for their performances on the baseball field this past season. D3baseball.com has named Fleming the 2017 Pitcher of the Year, as well as placing him on their All-American First Team; Uhrich was named a Third Team All-American for a second straight year. Additionally, the American Baseball Coaches Association (ABCA)/Rawlings All-America Team named Fleming a First Team selection at pitcher and Uhrich a Second Team choice at utility. The 2017 Central Regional will take place at in Sauget, IL, on May 17-20, with the winner advancing to the NCAA World Series in Appleton, WI. This will be the second straight year Webster has hosted the Central Regional. The Webster University baseball team has advanced to the NCAA III World Series three of the last five years, and has won 10 straight St. Louis Intercollegiate Athletic Conference regular season titles.